Print these cards out on cardstock (laminate for heavy use). 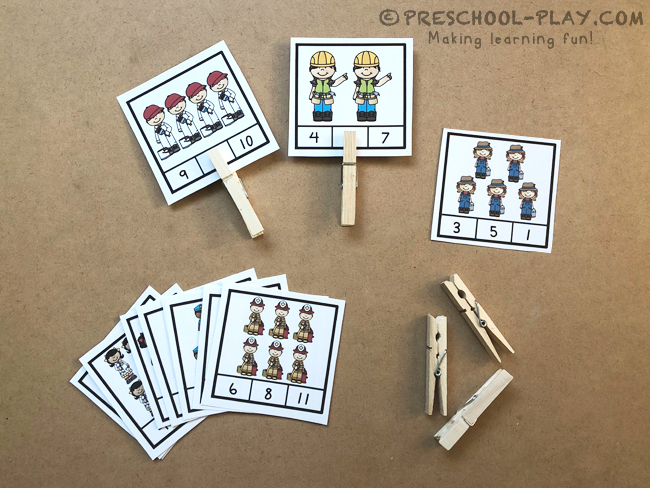 Students will count each set of helpers and clip its corresponding number with a clothespin. 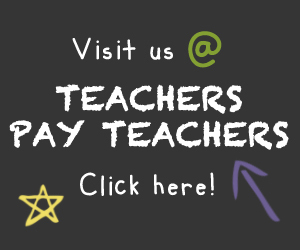 Print these cards out on cardstock (laminate for heavy use), and cut in half. 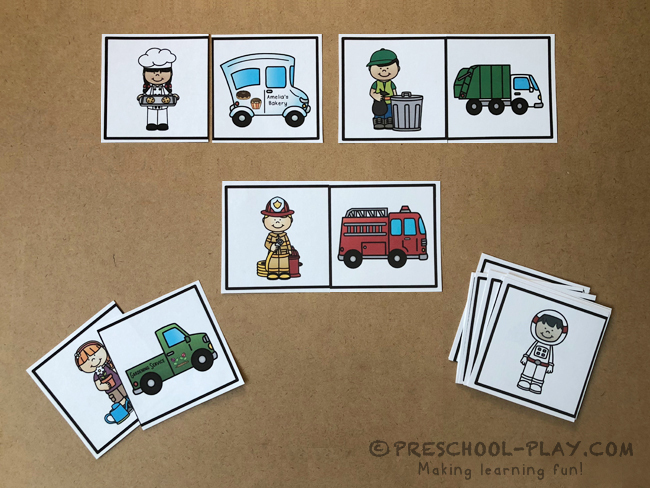 Students will match each community helper to the vehicle he/she uses to do their job. Print these cards out on cardstock (laminate for heavy use). Provide a small manipulative for children to use as bingo markers. Five in a row (horizontally, vertically, diagonally) equals BINGO! 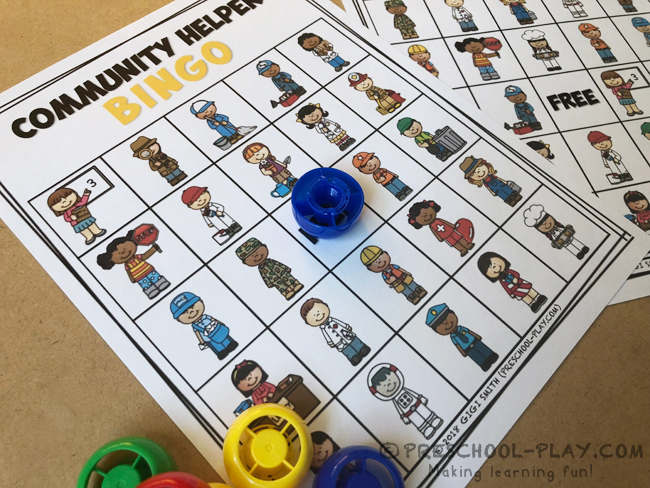 While playing, be sure to facilitate discussion about each community helper shown. 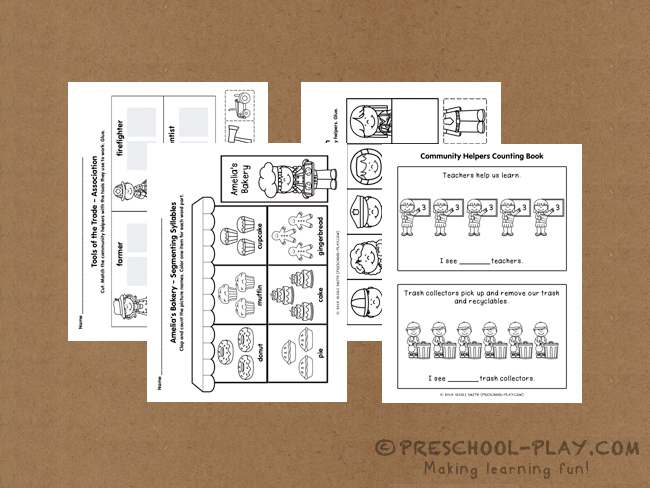 A Community Helper Counting Book (1-10) is included in the worksheet section of this pack. Children will cut out the pages of the book. Teachers/adults should staple the pages together. Students can then count and write the number of community helpers on each page and color the pictures. Be sure to discuss the helpers featured and their importance to the community. 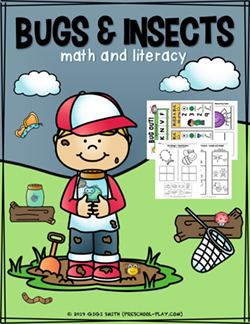 Additionally, with these worksheets learners will compare sets, color by numbers, classify helper vehicles, identify rhyming words, segment syllables, and so much more! 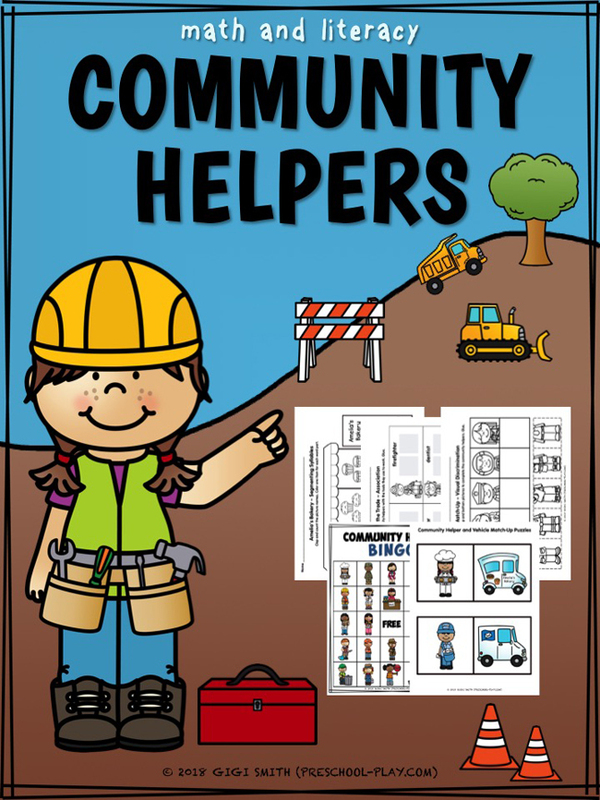 Get this Community Helpers Math and Literacy pack here.